Victoria Breheny is a herbalist, naturopath and energetic healer who runs her own business on the Mornington Peninsula. Inspired from a young age by her mother’s love of the garden, Victoria is most at peace when she is in nature. She can often be found picking flowers, tending to her vegetable patches or collecting herbs from her garden. Victoria has two superb daughters, an equally gorgeous husband, two handsome Labradors, four cheeky chickens and two comical Guinea pigs – all of whom make her smile everyday. 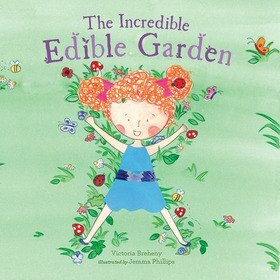 In Victoria’s opinion, life couldn’t be much sweeter; she adores her work, feels blessed to be surrounded by wonderful people and is now able to share her debut children’s book with the world.